Desperate refugees waiting to leave the Greek island of Lesbos say they are determined to make their way to northern Europe, despite closed borders and razor-wire fences standing in their way. 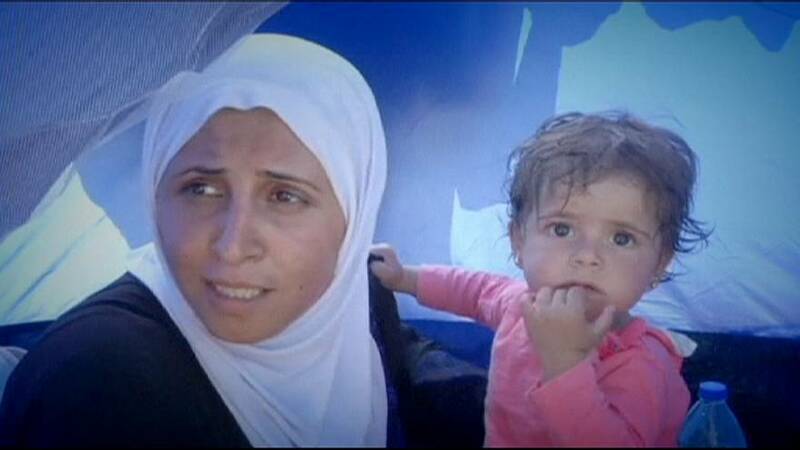 Syrian woman Rim, who is pregnant, has fled the war-torn country with her little girl. “Even if the borders close, I will pass through the smaller roads,” she said. Omar, 31, has come from the Syrian city of Homs. His home has been bombed and his brothers and sisters killed. “I know it is closed in Hungary,” he recognised. Greece has become the main gateway for refugees flowing into Europe, many of them fleeing conflict in Syria and Afghanistan, in the continent’s worst migration crisis since World War Two. The UNHCR, UN refugee agency, says almost 300,000 people this year have arrived in Greece, crossing from Turkey on overcrowded boats or flimsy dinghies. In recent days alone, dozens have died trying to make the dangerous journey. Whether Europe’s borders are open or closed, those fleeing the horrors of war are set to keep coming. That point is stressed by Medecin Sans Frontieres, the medical humanitarian organisation helping refugees on the frontline of the migration crisis. Which European countries offer the most social benefits to migrants?